A couple of weeks ago I realized I needed to reevaluate the early Fairport Convention albums — every so often I try to do this with major groups and artists that I don't seem to rate so highly or have a blurred remembrance of. I played the first two and liked them, but I was really shocked when I hit the trio of Unhlafbricking, Liege and Lief, and Full House: these were not only extremely good albums, but I realized I actually knew them really well and was nostalgic for when I used to play music. 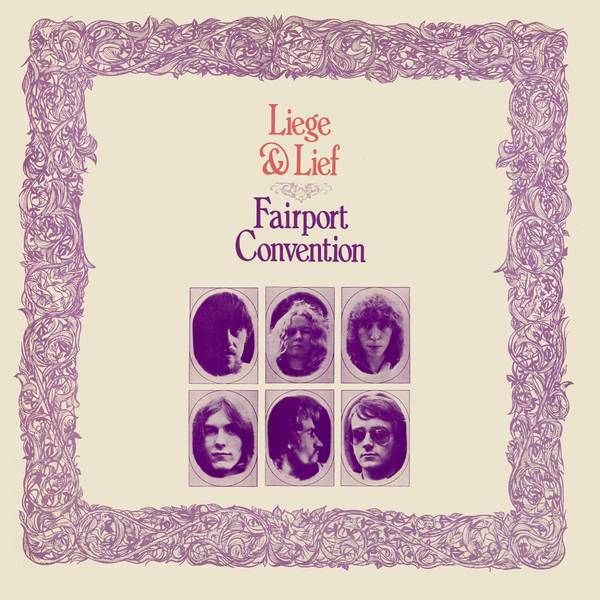 Folk rock can often just be a term that is equivalent to electric folk but with Fairport it felt like it started with psych and pop first, and its marriage to folk and tradition did all these styles favors. The vocals and musicians were all in a zone by Liege and Lief and not only were all the songs great, the flow of them from one to another, from ballads to energetic reels, was nearly perfect. Last night I played Liege again while talking about synchronicity and went from thinking it was excellent to thinking of it as a real classic, a truly special work. And then realized I had just finished up the E's and it slotted in like it was meant to be. Then I woke up this morning to find out that fiddle player Dave Swarbrick had passed away. He was brilliant on this record. Thanks for such a magical listen.